Present state: Westbound platform building remains in private occupation. Platforms and other buildings demolished. its entirety on the 18th March 1850. On the 1st of January 1859 the Chester and Holyhead Railway was absorbed into the LNWR and the line became an important trunk route for that company. Indeed the line was of strategic importance as it connected London to Ireland via the Holyhead Ferry. goods services passing through. 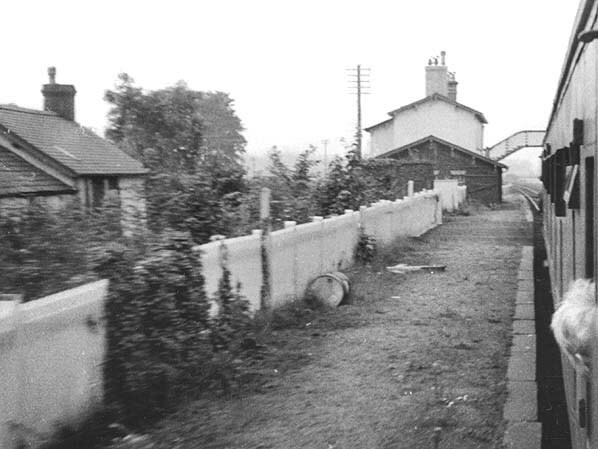 The station also had goods facilities with cattle pens and a siding for loading slate from Lord Penryn's slate works which was beside the station. In later years the station had a camping coach. By the second half of the 20th century the station would have seen very little traffic which led to its closure to passenger traffic on the 12th September 1960. Goods traffic lasted a little longer as an unstaffed public siding but that was also withdrawn on 4th May 1964. Today the station building is still extant and in use as a private dwelling. 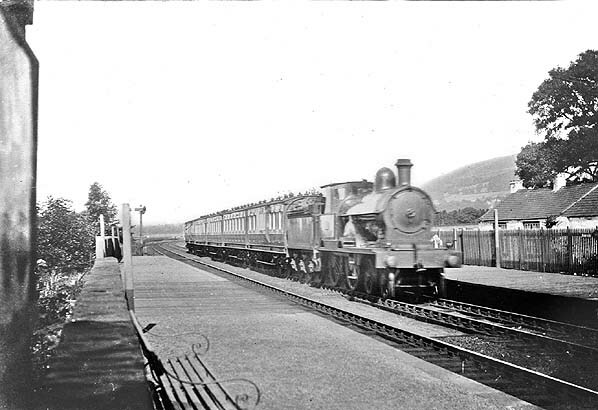 Aber Station looking east in c. 1912 with an express service heading west, probably to Holyhead. 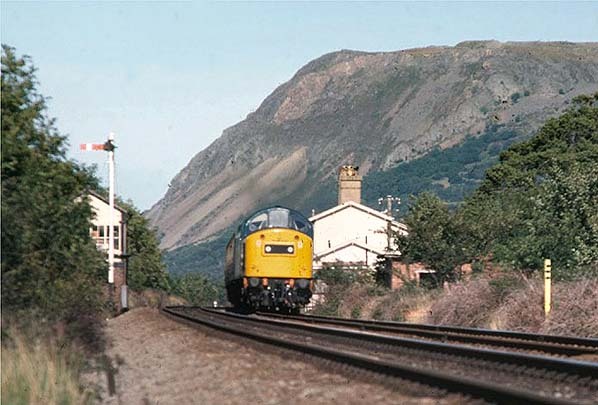 Looking east towards the site of Aber Station in September 1977. The station building can be seen on the right. 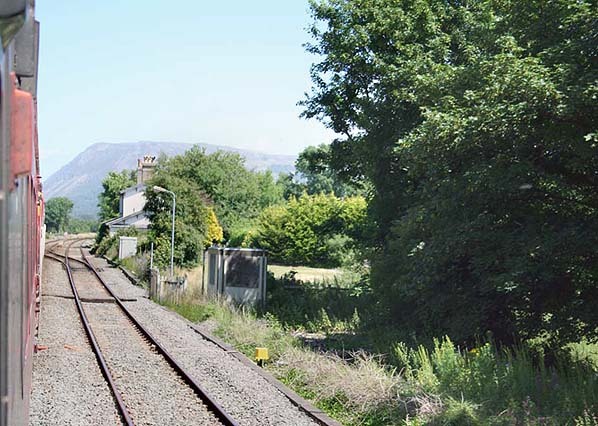 The site of Aber westbound platform, looking east from a passing train in July 2006. The platform commenced after the foot crossing and the surviving white former station building can be seen behind the lamp-post.